As Labor Day in the US approaches, summer slowly fades away and we welcome fall. 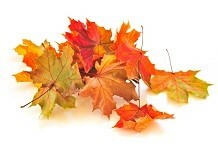 Fall, with cooler weather, football, and the flurry of the fall Maximo User Groups. There’s a great lineup ahead – so whether you are focused on Oil & Gas, Utilities, Manufacturing, Life Sciences or Healthcare, there is bound to be an event you won’t want to miss. First up is the Canadian Maximo User Group (CanMUG). Quickly approaching, CanMUG will be held September 3rd and 4th in Calgary, Alberta. This Maximo group primarily focuses on the Oil & Gas segment, catering to the burgeoning Oil & Gas market in Calgary. Interloc will be there as a Gold sponsor, complete with experts from our Canadian team showcasing the newly developed mobile Maximo app for Cenovus energy. If you go to CanMUG, we invite you to stop by and visit with our members from our Canadian-based team: Jeremy Rempel, Brad Knowles, and Ian Vail. Quickly moving on through September, there are a number of industry focused user groups. If you are focused on the Oil and Gas market, you will want to make plans now to attend GOMaximo. GOMaximo is held in Houston, Texas with the mission to provide a "forum for Maximo users to exchange information, methods and experiences.” Interloc is very excited to have one of our clients, Enbridge Energy, speak at this event. We invite you to attend their session at 3:45 pm on September 25th. Focused on Airports instead? Not to worry, the Airport Maximo User Group will be meeting September 25th and 26th in Detroit, MI. Our own, Jason VenHuizen, Interloc’s EVP of Products and Technology, will be there to talk about making Maximo Mobility Work. Jason is a Maximo veteran with more than 15 years of Maximo experience. Need more information on this user group? Find it here. Are you a Utility company? You’re in luck! The end of September brings us the Maximo Utilities Working Group (MUWG) – September 29th through October 2nd. This is perhaps one of the largest user groups, often topping out at close to 500 attendees. The MUWG is an “industry group representing over 145 utility companies, counties and cities throughout the U.S., Canada, China, South Africa, Pakistan, Japan, and the Caribbean that exchange information related to the implementation and application of the MAXIMO asset management system.” Now that’s a lot of networking and sharing! Interloc is again pleased to be a Platinum sponsor of the MUWG and have one of our clients, Oglethorpe Power, presenting on their mobility solution that makes Maximo count. We invite you to attend this session and meet with any of the Interloc personnel that will be attending the show. If you would like more details on any of these upcoming events, please contact Stacey Miller, Director of Marketing, Interloc Solutions.